WhatsApp is rolling out an update to its app on Android, iOS, and Windows Phone. This changes the way your status updates work, allowing you to add more than just words. Suffice to say, if you have ever used Snapchat Stories then you’ll be familiar with the new WhatsApp Status. Until now, WhatsApp has only offered a very basic form of status updates 5 Facebook Status Updates Guaranteed To Annoy [Opinion] 5 Facebook Status Updates Guaranteed To Annoy [Opinion] Facebook is, by all accounts, closing in on 1 billion users. That's an awful lot of people maintaining a profile on the site, and telling their family, friends, co-workers, and anyone else who will listen,... Read More . You type in where you are or what you’re doing, and that status will be shown to all of your contacts from now until the end of time/when you remember to change it (which is likely never). This functionality was actually how WhatsApp started out. Before the company realized people wanted to communicate in real-time and added the instant messaging for which it’s known, WhatsApp was an application built solely to let you let your friends know what you were doing at any given moment. Which was as boring as it sounds. Fast-forward eight years and WhatsApp is finally doing something more modern with its status updates. Rather than text, you can now share a photo, video, or GIF with your contacts. You can also add additional text, drawings, or emoji over the top to give it a little extra flavor. These new status updates will, like everything else sent through WhatsApp, be end-to-end encrypted Why WhatsApp's End-to-End Encryption Is a Big Deal Why WhatsApp's End-to-End Encryption Is a Big Deal WhatsApp recently announced that they would be enabling end-to-end encryption in their service. But what does this mean for you? Here's what you need to know about WhatsApp encryption. Read More . They will also disappear after 24 hours, encouraging you to update your status at least once every day. If you post multiple statuses in one day they’ll rotate in a slideshow. Your contacts can either just view your current status, or reply/react to it directly. And so with this one seemingly minor change, WhatsApp has added another string to its bow. It’s no longer just about messaging people, but about consuming content too. The elephant in the room here is how similar WhatsApp Status is to Snapchat Stories Snapchat Introduces Stories To Narrate The Last 24 Hours Of Your Life In Pictures Snapchat Introduces Stories To Narrate The Last 24 Hours Of Your Life In Pictures SnapChat's designed to send self-destructing photos or videos. But now it wants to change that with the launch of SnapChat Stories, allowing the images to stay for 24 hours. Read More . Instagram and Facebook have both already added similar features, so it was only a matter of time before WhatsApp followed suit. Not that that will be offer any comfort to Snapchat. 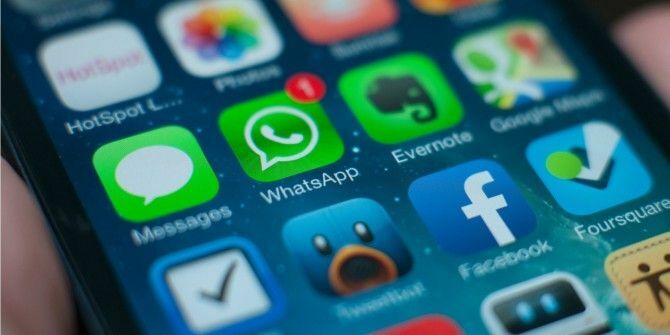 Are you one of the 1 billion plus people now using WhatsApp? If so, what do you think of the new WhatsApp Status? Are you likely to use it? If not, what’s stopping you from stepping on board the WhatsApp gravy train? Please let us know in the comments below! Explore more about: Facebook, Instagram, Instant Messaging, Snapchat, WhatsApp. Hate the new photo-lifestyle status. I could use snapshat for that, if I wish to spread daily Look-I-Am-Still-Breathing Photos. The old status was more like a statement. Agree. Not gonna use it. Way to go Whats App! I will check out this new status feature.